This refreshed series of Seagate Backup Plus external hard disk drives features a new brushed aluminum finish on the topside that comes in black, blue, red, and silver. The Backup Plus Portable measures in at about 4.5 x 3.25 x 1 inches and weighs 8.7 ounces. The Backup Plus Slim is about 4.5 x 3 x 0.5 inches and weighs 4.4 ounces. Both sport an LED activity light and USB 3.0 connectivity with the included cable. Seagate sent to me the 4 TB Backup Plus Portable in black and the 1 TB Backup Plus Slim in black. 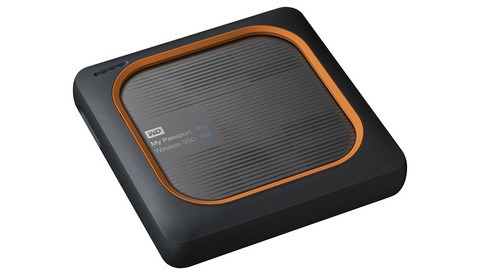 The Portable also comes in a 5 TB capacity and the Slim also has a 2 TB model. Previously, I've owned an older generation Backup Plus Portable which is about the size of the now Slim. It's lasted me years and on many airline trips and has read, wrote, and stored thousands and thousands of raw files to it. That satisfactory performance is what interested me in checking out these new models. Unlike the older generation, these new drives come formatted as exFAT which enables them to be used on both Mac and PCs out of the box. 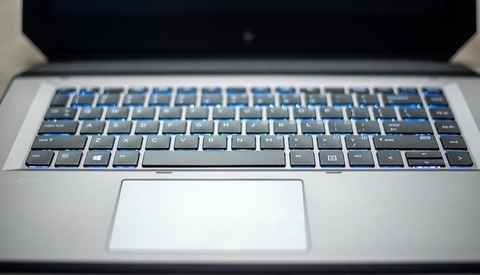 Short story: last year I switched from Mac to PC — something I never dreamed I'd do — and it was no fun at all having to offload my external drives, reformat them from the Mac OS Extended format to exFAT, and reload them with my files. It took an incredibly long time. I wish I had my backup drives set to exFAT from the beginning, even though I never thought it would be necessary. Speed testing the Backup Plus drives on my Dell XPS 15 showed no important difference between clean formats of exFAT and NTFS. Both drives got me around 125 MB/s write and read speeds both in the Blackmagic Design Disk Speed Test program and real world. Five files totaling 3.23 GB took 28 seconds to write to disk. 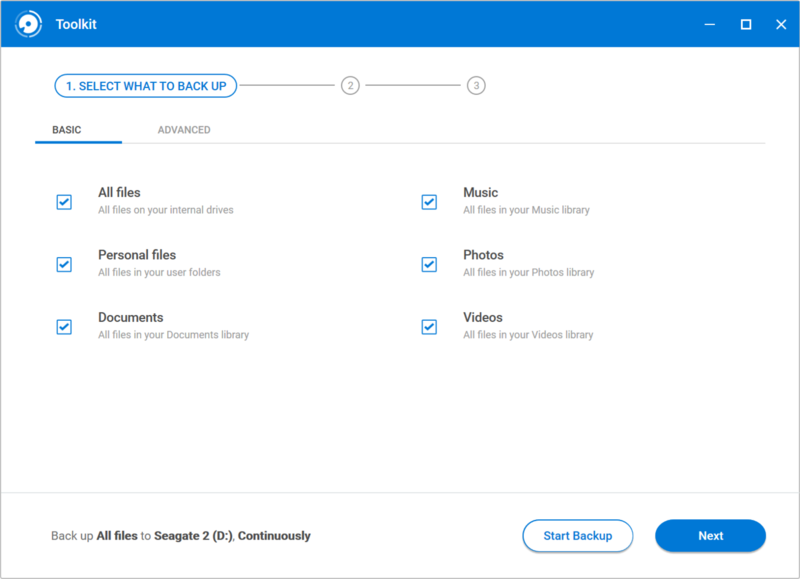 As an optional install, the Seagate Backup Plus drives come with Toolkit software that can manage automatic folder syncing, backups, recovery, and reformatting. The very simple interface was easy enough to follow along with and set up a custom folder to mirror. 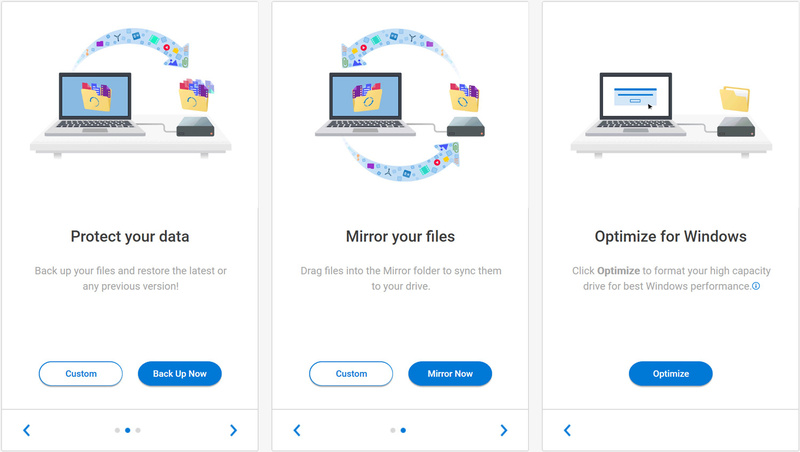 Toolkit also makes it easy to mirror more standard operating system folders like Photos, Videos, and Documents by just checking some boxes. Some readers will likely just format the drive clean and avoid any software installs, and that's perfectly doable as well if you choose. Seagate Toolkit panels on first launch. 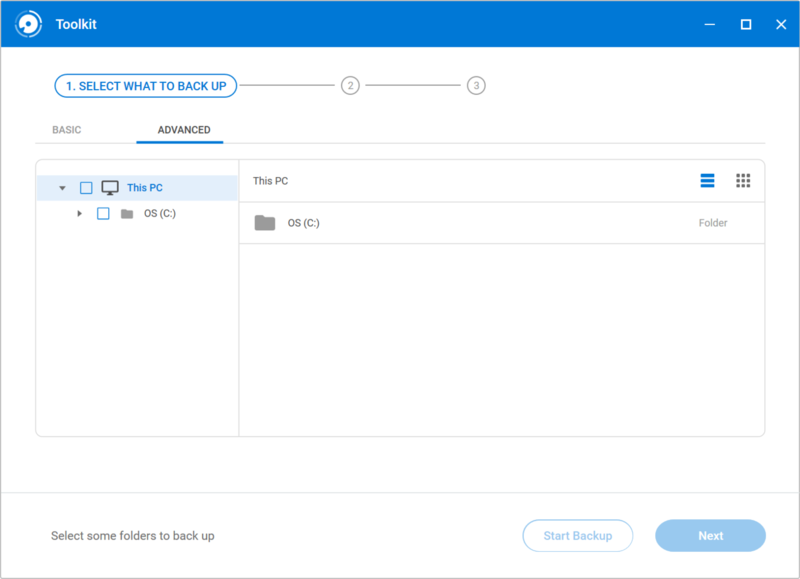 Custom backup option for any chosen folders. Both of these new Seagate external drives come bundled with nice incentives. You get two months free on the Adobe Creative Cloud Photography plan (Photoshop, Lightroom, Bridge) and one year of a free Mylio Create subscription (a multi-device photo synchronization service). If you're already an Adobe Creative Cloud Photography plan customer, the redeem code just credits your account so that the next couple months are paid for. The way I see it, I was already going to pay up that $20 to Adobe anyway, so that's like another $20 off the purchase price of these drives. As advertised in the name, these slim and portable drives can fit easily in to just about any bag pocket to bring them wherever you need. The price can work for photographers with stricter budgets for their hobby. The freebies, namely that two months of Adobe Creative Cloud Photography plan, offset even more cost of these low-priced drives. Pre-formatted for both Windows and Mac can save some headache in the future. These are newer products but retains the old naming. It makes it more difficult to know if you're buying the updated version or not. Be sure to look for the brushed metal finish in product photos, an indication that it works with Windows and Mac without reformatting, and it comes with a free two-month subscription to the Adobe Creative Cloud Photography plan and one year of Mylio Create. 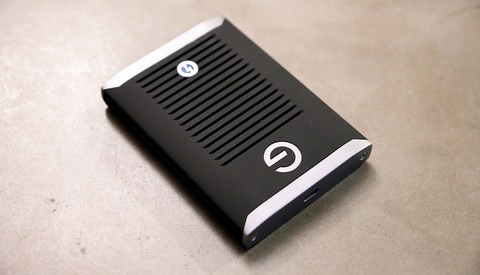 The larger Seagate Backup Plus Portable is pretty weighty for its physical size. Holding the drives in my hand, neither gives the impression of durability. However, like I said, I've heavily used a previous model and it is still going strong. The new higher capacity Seagate Backup Plus Portable comes in 4 TB and 5 TB configurations and is priced around $100 and $130 respectively. 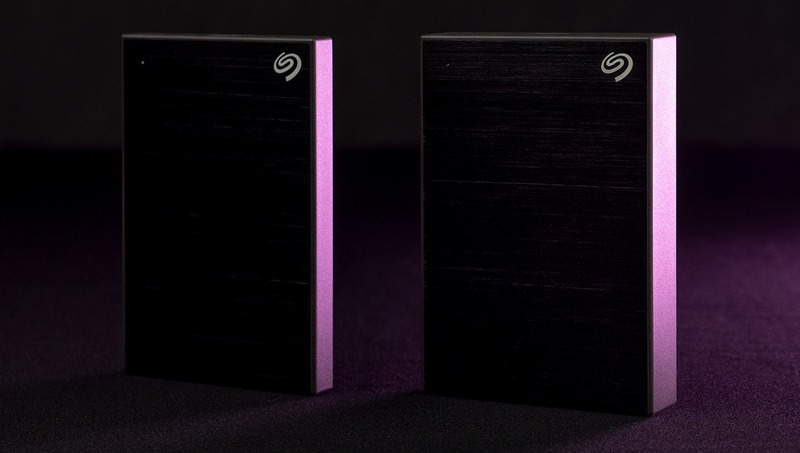 The new Seagate Backup Plus Slim comes in 1 TB and 2 TB options for $60 and $80 respectively. Are there any hardware differences in the new version apart from design? I've been very happy with the previous generations, but if all they have done is to change design, standard file system format and accompanying software/coupons then it seems a bit disappointing for a new update. No USB C in 2019?